Many drivers look for all-terrain tires which offer so much capability both on-road and off-road. 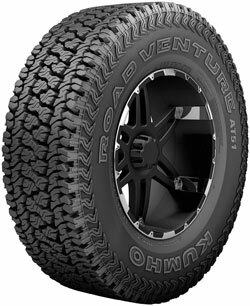 These tires could be used for different road travels such as those including sandy, soil, stone and gravel off-road trails as well as snow-covered roads. 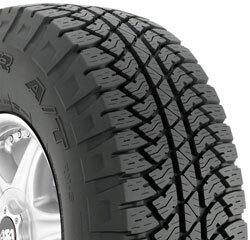 Providing control on-road and off-road and confidence for sport utility vehicle, pickup truck and jeep drivers, BFGoodrich All-Terrain T/A KO2 provides outstanding wear and year-round traction (also suitable for those needing it for snowy conditions), great durability and go-anywhere traction. The tire has great features such as: road hazards are pushed away by tough sidewalls which resist tearing and splitting, tire resists tearing and chipping with a long tread life on gravel and meets severe snow traction standards of RMA (Rubber Manufacturers Association). Also, ‘BFGoodrich All-Terrain T/A’ could be read on tire as raised white letters. 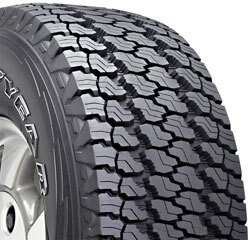 According to the manufacturer, this tire is its toughest all terrain truck tire so far. 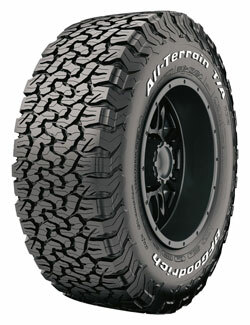 To buy BFGoodrich All-Terrain T/A KO2, drivers could check out Amazon which lists this product with a price tag of $207. From the woods to main streets, light truck and SUV drivers find Firestone Destination A/T a good companion as all-terrain tire wherever they go. 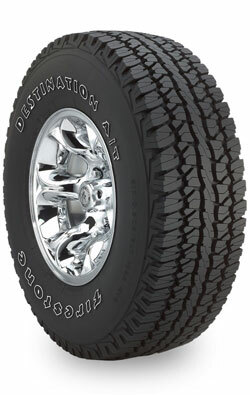 Dry or wet weather should no longer be a subject of concern since UNI-T technology has been used to build Destination A/T tires. As a result, a quiet and smooth ride is provided by extra technology this tire is equipped with, making drivers more confident in handling their cars in any situation. Firestone Destination A/T could be bought for $114.74 from Amazon. Some drivers need a tire which is durable and tough and could offer year-round traction and long tread life while withstanding off-road duty. Improved wear characteristics and easy cross-rotation have been made possible by a symmetric and aggressive tread design made from Triple Polymer compound which is both tear- and chip-resistant. Please note that severe snow service requirements of the industry are met by Yokohama Geolander A/T GO15 tires and mountain/snowflake symbol is branded on them. 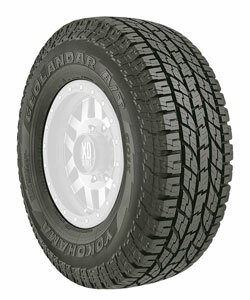 It costs $136.76 to buy a Yokohama Geolander A/T GO15 tire from Amazon website. The best-selling tire made by General Tire offers exceptional traction over all terrains for drivers of SUVs, light pickups and jeeps. Other features of General Grabber AT2 include extra-deep tread pattern, multiple traction edges coming with the 5-row tread pattern and lower road noise due to highly-engineered acoustics. Drivers could buy General Grabber AT2 at Amazon for a price of $135. This is another great tire which drivers could use for all seasons and all terrains (even in snow) to benefit from its year-round traction. Self-cleaning tread block (because of its tapered and deep design), hundreds of gripping edges created by an angled chamfer and excellent performance in the snow and mud are among the great features offered by Kumho Road Venture AT51. Drivers looking to grab Kumho Road Venture AT51 could go to Amazon to buy this tire for $128. 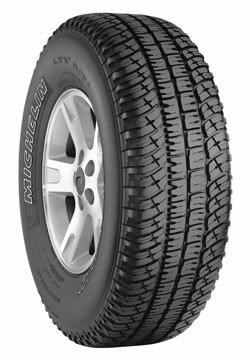 As a great choice for those wanting a off-road/on-road tire, drivers could try Michelin LTX A/T2 all season radial tire which provides reduced vibration and noise while not compromising on-road handling and comfort. The tire also resists tearing and chipping on gravel. Shopping at Amazon website, it costs $178.92 to order Michelin LTX A/T2 tire. The satisfiying off-road and on-road capabilities of Goodyear Wrangler Silent Armor tires could please SUV, van and pickup drivers looking for great all-terrain light truck tires. Other features include: rim protector, open tread pattern, traction ridges, Durowall rubber compound and using DuPont Kevlar to make an added layer. Goodyear Wrangler Silent Armor could be purchased from Amazon for $200. Wanting a combination of all-season versatility (even light snow traction), enhanced off-road capabilities and customary on-road capacity from a light truck tire? If the answer is yes, then Bridgestone Dueler A/T RH-S might be the correct choice providing improved tire life, tread wear and also tearing and cracking resistance due to the usage of L.L. Carbon. 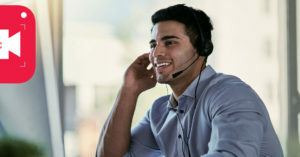 Also, to create optimal tire performance, construction, materials and tread design have been combined by Computer Optimized Component System (CO-CS). Amazon website has listed Bridgestone Dueler A/T RH-S with a $177 price tag. As a great all-terrain light truck tire, Pirelli Scorpion ATR is usable for sport utility and crossover vehicles, and pickup cars. Pirelli Scorpion ATR Features include: unparalleled comfort in its class, high resistance to aquaplaning and precise dry and wet handling. This tire could be bought for $145.99 from Amazon online retailer. 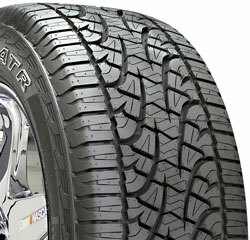 AmeriTrac TR is an all-terrain tire which is made by General Tire. It is offered in light truck and P-metric sizes. 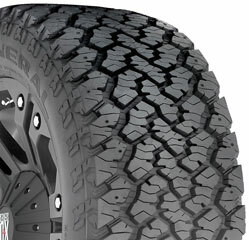 Snow and mud rated, computer designed tread, chip and cut resistant compound are some other features of General AmeriTrac TR. 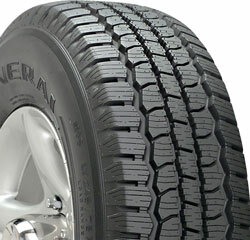 Drivers who want to buy General AmeriTrac TR all terrain tire could pay $170.97 at Amazon website to buy it.